Kasese based golfer Habib Kisande, playing off handicap 6 was the overall winner of the third round of the 2019 Singleton match play golf championship at the lake side Entebbe Golf Club course over the weekend. Kisande scored 35 points to win the top honours ahead of Stephen Krisch (34 points). A total of 191 golfers participated in the day long event played on a match play format. 16 pairs competed in the main championship (amateurs and professionals). Some of the amateur pairings that progressed to round four due in May 2019 were Maureen Okura and Martha Babirye. 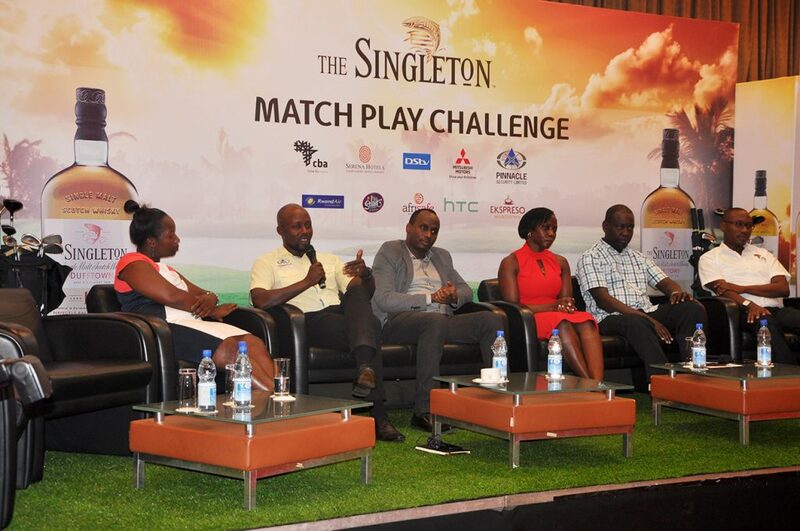 The professionals who qualified for the semi finals are Herman ‘Deco’ Mutebi, Fred Wanzala, Robert Happy, Abraham Ainamani, Gerald Kabuye, Herman Mutawe, David Kamulindwa and Ronald Rugumayo are fighting to wine 15 M sponsored by singleton challenges . Round four will be the semi final which will again be played at greens of Entebbe Golf club on Saturday 11 May 2019 . The winning pair will win return air tickets to the Dubai Classic series at the end of the year.